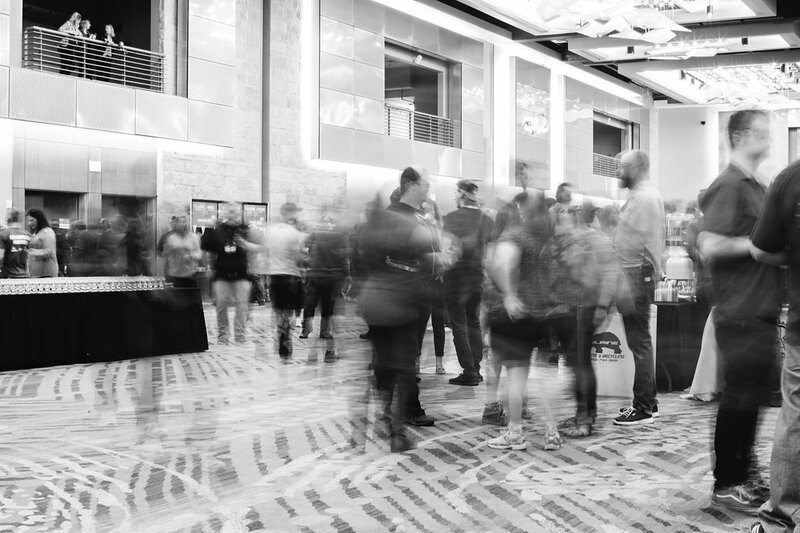 Last year’s Collaboration Fest, which took place at the National Western Complex, was a bit rocky to put it nicely. 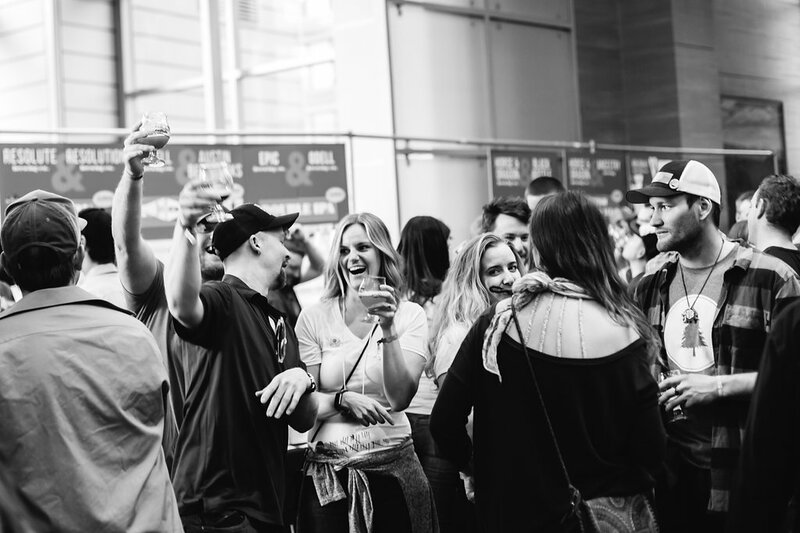 But a move this year to the Hyatt-Regency in Downtown Denver, along with better signage and understated touches to attendee experiences, helped elevate the 5th year festival to the upper echelon of beer event experiences nation-wise. 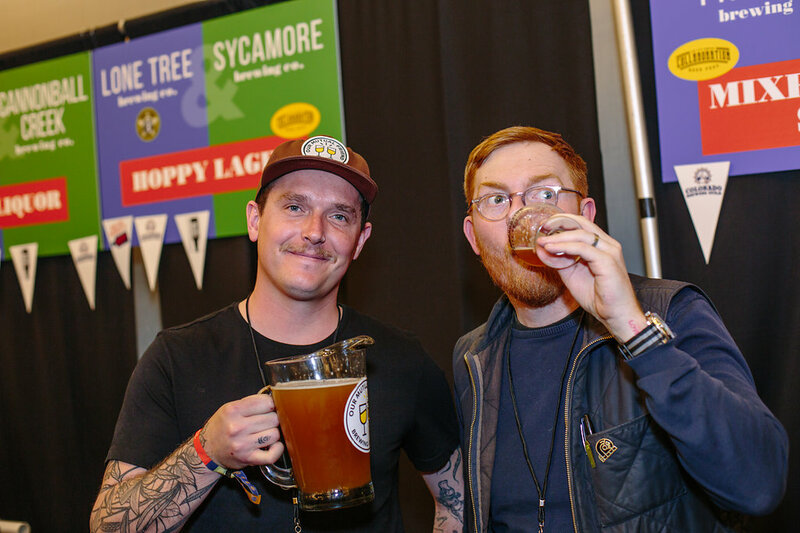 This year’s Collab Fest brought everything together to combine incredible concept, high quality beers, and near flawless execution. 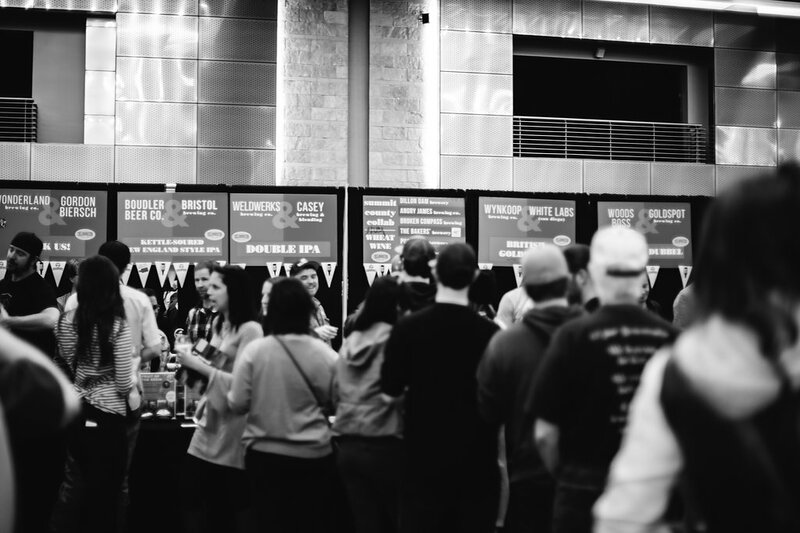 Just like a quality barrel-aged stout, five years of aging has allowed Collaboration Fest to evolve into a truly unique and standout event in the craft beer scene. 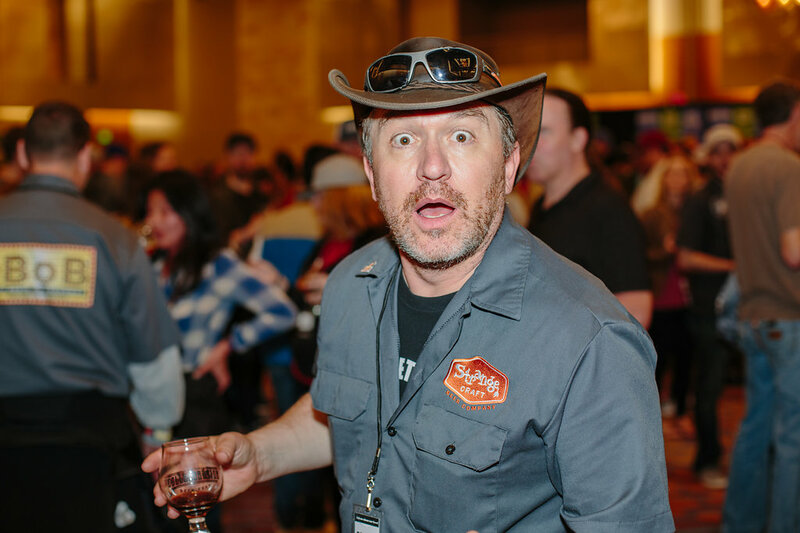 Upon entering the hotel ballroom, greeters handed out healthy pours of a Baltic Porter that was a collaboration between eight breweries (Woods Boss Brewing Co., Tommyknocker Brewery & Pub, Golden City Brewery, Lariat Lodge, Westfax, Lefthand Brewing Co., Broken Compass, and Elevation Beer Co.). 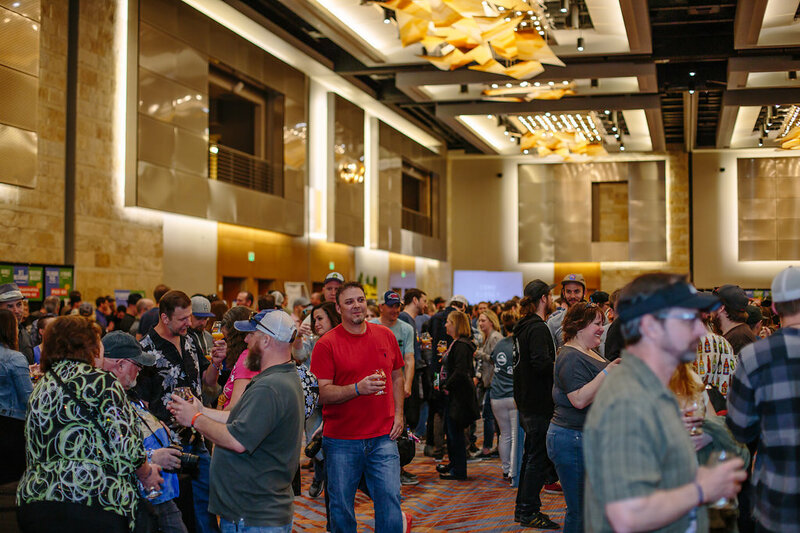 From there on, an organized flow of options wrapped around the spacious ballroom, advertising the name of the breweries and a more detailed description of the collaboration. 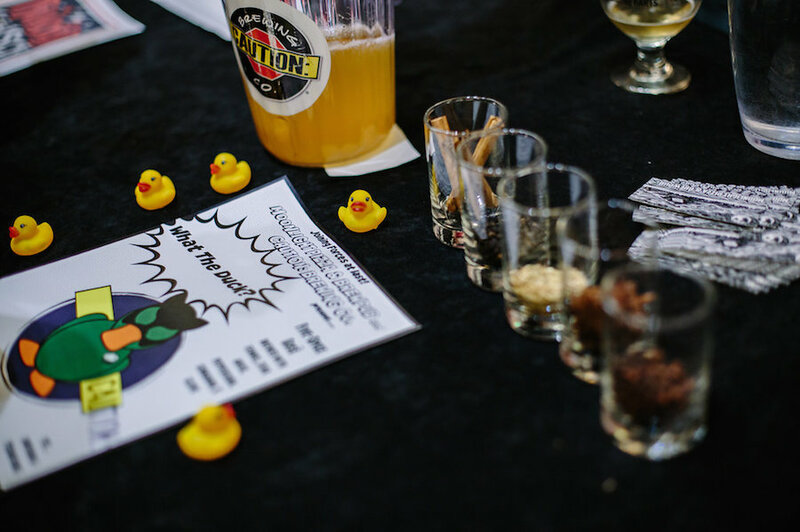 Some projects gave you a clear idea of what you were getting yourself into (“IT’S GOT REAL F&*KING DUCK IN IT!” had been scrawled on the banner for Moonlight Pizza & Brewpub and Caution Brewing Co’s Five Spice Peking Duck Gose). Others opted for more mystery, with a simple “Ask The Brewers!” listed as their beer style. 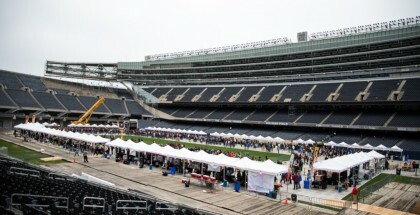 But regardless of the display, both beer quality and the attendee experience exceeded all expectations. 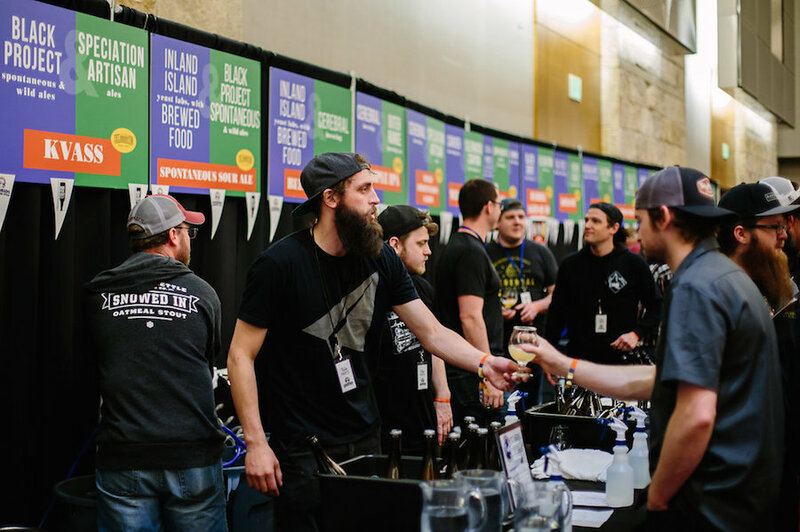 The festival, put on by the Colorado Brewer’s Guild and Two Parts, stands apart from others for more than just the rare offerings. 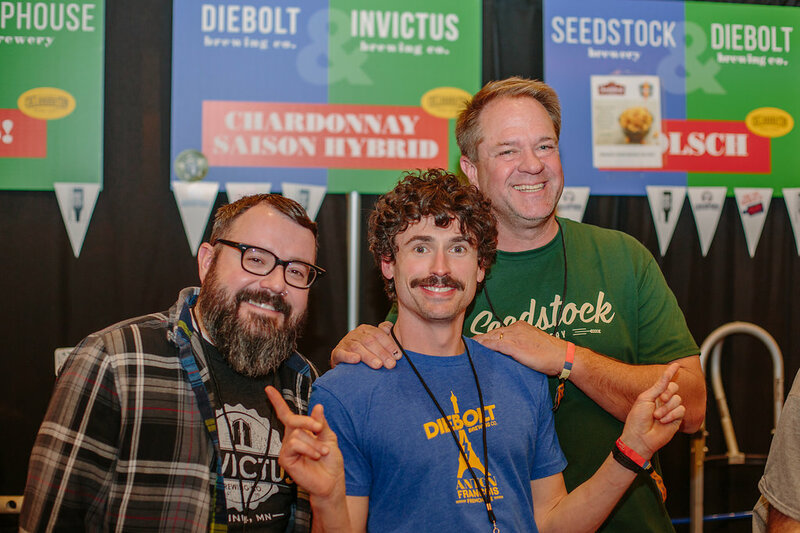 The basis of the event—to bring together two breweries and create a beer that represents them both—also brews up a level of lightheartedness and camaraderie that you could feel throughout the festival. 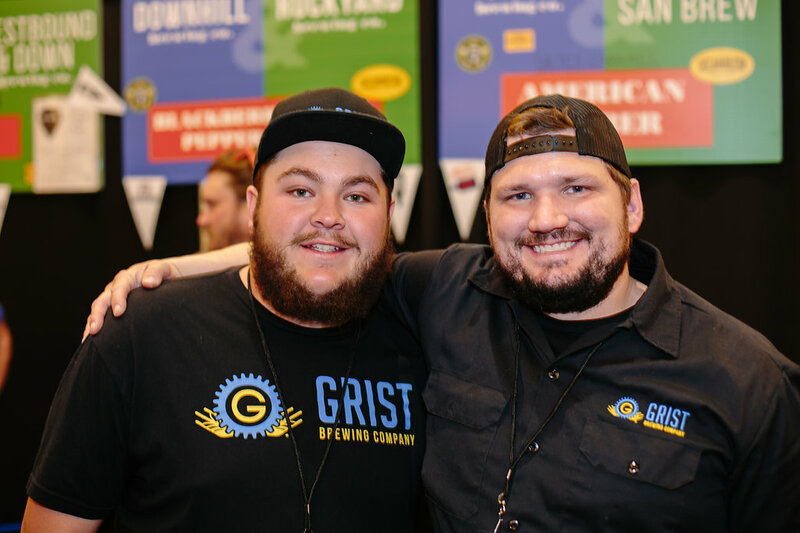 Brewers were sharing beer that had a story of friendship and creativity behind it, and they were excited to chat about those details with every generous pour. 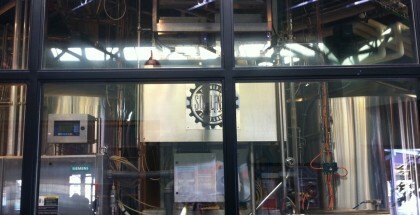 (And I do mean generous—the Sleeping Giant Brewing Co. and Stillwater Artisanal Stout almost knocked me out.) I lost count of how many brewers were stopping by to compliment other brewers on their style, their process, or their collaboration. 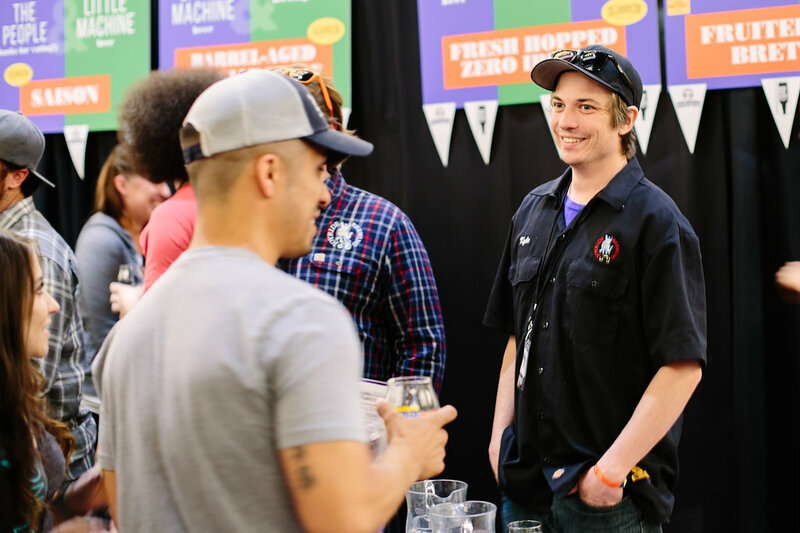 But enough of the background—let’s get to some of the standouts brews that impressed the attendees and the brewers alike. With pastry stouts being so hot right now, these breweries decided to one-up the competition and in-turn slightly poke fun of the entire trend by incorporating deconstructed elements that would make up an actual baked good, including you guessed it, actual butter extract. I Can’t Believe It’s Actually Butter featured coconut, vanilla, chocolate, aiming at a general Samoa cookie vibe. Somehow, this rich viscous 10.5% beast worked. Well, it ducking lived up to the hype. When we first read that Moonlight & Caution were planning on releasing a Gose with 5 spice and Peking Duck, we were rightfully a bit skeptical. However What the Duck Five Spice Gose, brewed with traditional Chinese five spice (fennel, pepper, clove, star anise, and cinnamon) as well as a quick dunk of two Peking ducks in the boil was one of the true standouts of the fest. Striking the perfect balance of slight acidity, and familiary savor flavors from the spices, this beer worked all around. Bonus: they also handed out mini rubber duckies to those brave enough to try a pour. 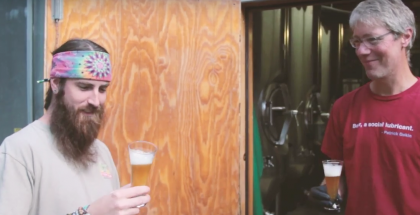 You wouldn’t think an Arnold Palmer beer would make sense without being a shandy, but Funkwerks and New Image channeled their love for kettle sours in incorporating 35 lbs of black tea in a kettle sour brewed with lemon peel. The result was a surprisingly on-point beer version of an Arnold Palmer without any of the extract-y aftertaste. One the most ambitious concoctions at the fest, Pimms Yo sought to re-create the famous New Orleans originated cocktail, Pimm’s Cup. This complex amalgam of flavors featured the use of citrus, juniper, ginger and cucumbers to create a wholly balanced but bold mocktail that completely nails the flavor profile it was striving to achieve. No surprise here, as the New England-style Double IPA collaboration sold out almost immediately during Weldwerk’s third anniversary two weeks earlier. 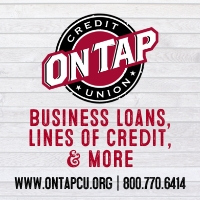 Two of the most hyped and notoriously difficult-to-get-to breweries have limited distribution in general, which upped the ante on the public’s interest in trying Transmountain Diversion, a juicy hop bomb. I caught many people (okay, okay, myself included) going back for seconds. And thirds. Black Project’s collaborations were a clear hit with the crowd, and it’s tough to say which one was more popular. Jing-A Brewing’s collaboration was a spontaneous ale with Chinese hawthorn berries and sweet olive flowers, and Speciation’s collaboration was a Kvass style with yeast from the mountains of Missouri. Inland Island and Brewed Food’s, a spontaneous sour with cherries, was also a repeat visit for many. It’s fitting that two giants of the sour world would brew a beer called On The Shoulders of Giants. In paying homage to one of The Rare Barrel’s heroines of the beer world, this edition of On the Shoulder of Giants tips the cap to Lauren Limbach who oversees the Sour/Blending program at New Belgium. This unique offering—a golden sour with peaches and jasmine tea—lived up to its name, with people eager to sample the fruits of these giants’ labor. It’s not the first time that these two breweries have collaborated, and I sincerely hope it’s not the last. 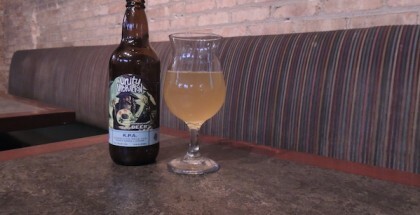 Bianca Persica Wild Wild Brett is a wild ale loaded with Palisade peaches, and it’s as juicy as it is tart. This was definitely one of the best fruited sours that the festival had to offer. One of the heaviest hitters of the festival was Barking Iron, a barrel-aged collaboration stout that was modeled after the revolver cocktail (which is traditionally bourbon, coffee and a kiss of citrus). At 12% ABV, this was deceptively drinkable and balanced. It was surprising, complex, and one of the best examples of a successful collaboration at the festival. This one completely caught us off guard in that most beers that advertise Salted Caramel as a component either don’t accurately showcase those flavors, or they taste like salted caramel extract was heavy-handedly applied. Grist and Koala’s take was neither. This American Amber utilized housemade salted caramel and made for the perfect tweener season treat that you can down lots of in one sitting. One of the cooler prevailing collaboration stories circles around Mockery and Baere who have now collaborated for this festival for 4 years running. This edition, their French Toast Stout absolutely nails it with a balance of big booziness and a pleasant sweet after-taste that truly does remind us of French Toast in all the best ways. 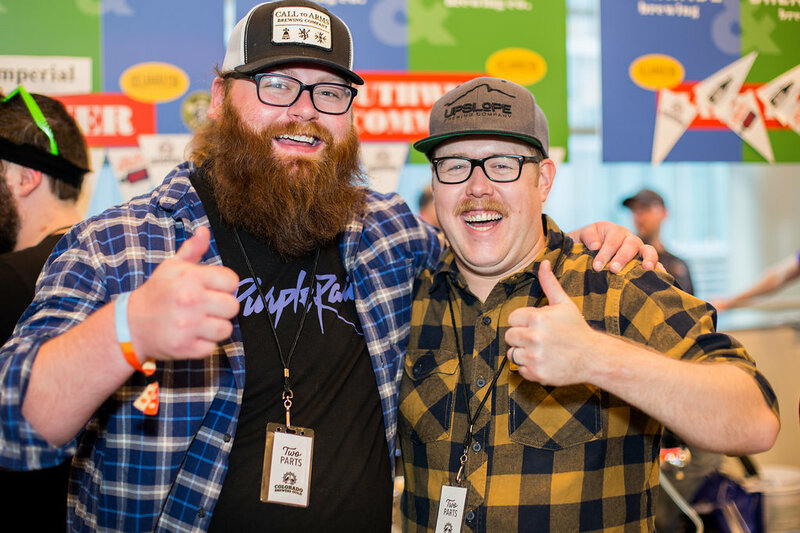 This festival is a shining example of the best parts of the craft scene: creativity, quality and friendship all coming together to create some damn fine beer.